The worst part about traveling is the tedious visa requirements and processes, getting through all of it, and then your visa getting rejected. Reading the words “We’re sorry to inform you that your visa has been denied”, “You did not meet the qualifications, “We are uncertain as to your intention to leave the country”, “Please wait for 3 months until you can re-apply” etc. can be really heartbreaking. I hear some stories about people who sold their properties like cows and farm lots in the hopes of finding greener pastures in another country and their world was totally shattered with the visa rejection. Before reading the tips below, you can find all of my VISA APPLICATION TIPS for different countries, here. 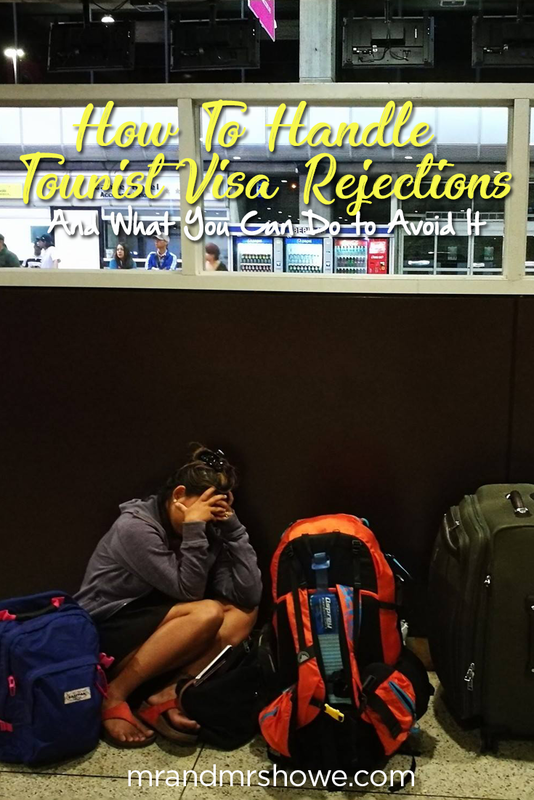 HOW TO AVOID VISA REJECTIONS? Bank Statement/Bank Certificate for the last 3 or 6 months. 2) Prove your deep-rootedness/deep ties in the Philippines as much as you can. This can be proved by providing additional supporting documents such as your School ID and School Enrollment Certificate if you are a student, your ITR & Employment Certificate if you’re an employee, Business Registration & ITR if you’re an entrepreneur. You may also include Car Registration, Land/Condominium Titles, Proof of Investment, Contract of Lease in your favor, etc. if you have any. If you don't have proper ties in the country esp if you're a 25 year old then make sure to write a very well-written cover letter detailing your current situation. Also, having more international travel experiences prior to your visa application could help since it can help you establish that you're indeed a traveler. 3) Collect passport stamps, not enemies. If it’s your first time traveling and you’re going to a far country like those in the Middle East, US, Europe or Africa, chances are the Consul Officials will doubt you, your financial capacity, as well as your intention to return. So I suggest that you should travel around Southeast Asia first and collect passport stamps. You can always cross country from Thailand, Vietnam, Cambodia, and Myanmar. You can also cross borders from Singapore to Malaysia. Not only will you get to travel and enjoy, you’ll also get a lot of passport stamps and higher chances of approval for your next visa. 4) “Dress on how you want to be addressed”. Some embassies require an interview and remember, “You never get a second chance to make a second impression”. So go ahead and put on your decent clothes-- slacks/pants, closed shoes, and a polo shirt/long sleeves. Look what you say you are-- if you’re a student then you should dress like one (not necessarily in your school uniform but if you have class on the same day the why not? ), if you’re a businessman then wear something semi-formal. 5) Provide only authentic documents. Don’t you dare give them a fake document because once they find out, you’ll be denied your visa outright or worse, you could get blacklisted. Yikes! 6) Have a "2 minute elevator pitch" but briefly, truthfully, and concisely. This is very important. Most of the questions asked by the consuls are answerable by a maximum of 5 words but don't do that - answer brief but thoroughly. Questions usually asked are: “What kind of work do you have?”, “Who are your traveling with?”, “What’s the purpose of your travel?”, “Who’s going to pay for it?” etc. Please do prepare a very quick answer na wala nang matanong ang consul sayo dahil binigay mo na lahat! Wag kang maniwala sa tips noon na kelangan isang tanong-isang sagot lang kasi alam na nila ang tungkol sayo na nakasulat sa application form mo, kelangan ang sagot mo ay expounding lang ang nakalagay sa form! Reasons for Denial: These are the 6 common grounds for Schengen Visa Denial: 1) A false/counterfeit document was presented; 2) Justification for the purpose and condition of the intended stay was not provided; 3) The proof of sufficient means of subsistence was not enough; 4) Proof of holding an adequate and valid travel medical insurance was not provided; 5) The information submitted regarding the justification for the purpose and conditions of the intended stay was not reliable; and 6) Your intention to leave the territory of the member state cannot be ascertained. Available Remedy: You can either file a Remonstrance Letter or file another application from another EU Embassy. For example you applied in the French Embassy, change your itinerary and make it appear that your entry will be in a different country and gora kana dun sa embassy na yun! CONS of filing a Remonstrance Letter: The address where you can send your Remonstrance Letter is sometimes in the country itself. You can find it at the white paper that they will be giving you which indicates the reason for rejection. For example the French Embassy denied it, then besh dun mo pa ipapadala sa address sa France ang letter mo nakakaloka. And this letter has to be in French because otherwise, chances are it will just go straight to the trash since they barely understand english. Another con is that it also takes A LOT OF TIME. I’ve been trying to research on successful remonstrance but there are just a few cases. Better option: Don’t take my word for it okay? But for me, apply again on the same embassy! Stick to your itinerary and plan but write a better cover letter and explain why they are wrong in rejecting your first application. But at least you get better chances of getting approved. 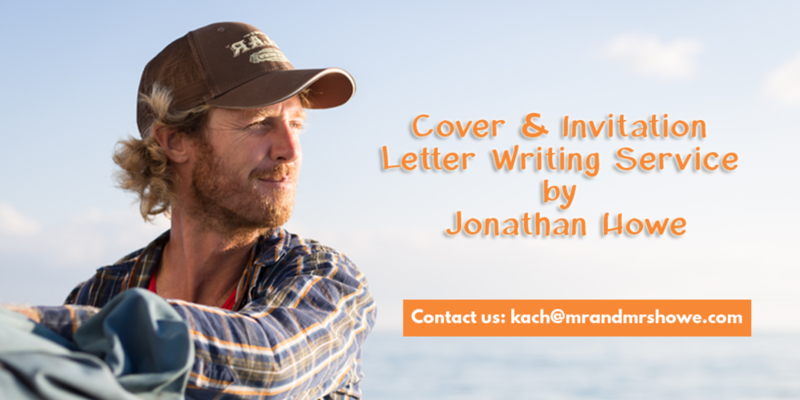 Like I’ve said earlier, review your cover letter and documents. Did you say your parents are going to pay for your trip? You must have forgotten to attach an Affidavit of Support signed by them. Also, have your documents certified by the DFA in Red Ribbon. It makes the document authentic and recognizable in foreign states. Wala nang tanong tanong pag naka red ribbon yan because it has the seal and approval of the DFA. It’s only 200 pesos/100 pesos if express so sugod na sa DFA at sa satellite offices nila! Possible Reasons for Denial: The Consuls wouldn’t really tell you the reason behind the rejection. They would just say “I’m sorry I cannot give you your visa right now” and that’s it. But certainly, something went wrong with your visa application form which they verified during your interview or they cannot ascertain your financial capability and intention to leave the US Territory when required. Available Remedy: You can re-apply at anytime. Remember: I know a lot of people who got their visa after 3 or 4 attempt.. don't give up kapag rejected ka na sa una pa lang! But usually, what could help is if there's a "significant change" on your situation, whether it’s family, economic, or social. Eg. You didn’t have a source of income then, but yayamanin kana ngayon because may business ka na or employed kana. Kung dati wala kang stamp sa passport pero this time galing ka na Vietnam, Thailand etc. (travel ka muna sa Asian countries nearby). Or you were single when you first applied, but now you’re married with a man who has a good paying job. Ganyan. If wala, then there’s a very slim chance that the Consul will change his mind. Or ayusin mo yung mga sagot sa application form mo! If you need tips, I can mentor you.. click here! Available Remedy: You can reapply after 6 months. You can re-apply earlier than that ONLY if you have stated a different purpose on your second application. Remember: There should be a reason why they denied you. Alamin mo kung saan ka nagkamali, admit it na may pagkukulang ka, and don’t make the same mistake again on your second application. Possible Reasons for Denial: Your passport is invalid, you are prohibited to enter Korea, you have a record that shows you have previously violated the Korean law, you failed to submit the required document completely, you failed to qualify to the visa category that you have applied for, the documents you have submitted cannot be verified, you failed to prove the purpose of entry to Korea or you and your family failed to prove deep ties with the country. Additional Tips on How to Avoid Being Rejected: In all fairness to the Korean Embassy (and I salute them for this! ), they will tell you outright if they need more documents from you and ask you to come back with it to continue with your application. Sometimes they will accept your application but they will send you an email if they want anything else. If they do this, don’t be stubborn and make sure to comply. Available Remedy: Reapply after 6 months or make an appeal if it is urgent. Remember: Again, alamin mo kung saan ka nagkamali and don’t make the same mistakes again on your second application or appeal. Ask the lady at the embassy if you can lodge an appeal, tell them your circumstances and they will answer you. If unemployed ka during your first application, you better ask your parents to execute an Affidavit of Support for you para more chances of winning na. Available Remedy: You can start a fresh application anytime. New form and new payment! Remember: It is not recommended that you start a new application unless there’s a “significant change” in your financial, family, or economic condition but I can mentor you on what to do. Minsan kasi kulang lang ung documents na sinubmit mo or hindi detailed ang nasa cover letter mo! Possible Reasons for Denial: Most common reasons are lack of funds, failure to meet Australia’s health code, lack/inconsistency in the details of your application, you applied for the wrong type of visa, you failed to meet Australia’s health requirements, etc. Available Remedy: If your application was refused, a Decision Record will be provided and any avenues for appeal will be stated if it is applicable to you. This would also detail the reason for the decision and what legislative requirement you failed to meet. It is always an option to just start a fresh application anytime unless there is an indicated time gap on the visa refusal letter. Remember: (Same with the US and UK). Australia is a very direct process, you better apply again and just complete the documents they are requesting from you! Possible Reasons for Denial: You have not satisfied that you would leave Canada at the end of your stay as a temporary resident, you did not show enough financial capability, you did not clearly show your purpose of visit, discrepancies in the documents and the application form, you presented fraudulent documents, etc. Available Remedy: You can start a fresh application anytime unless your visa refusal letter indicates otherwise.